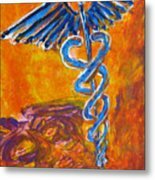 Orange Blue Purple Medical Caduceus Thats Atmospheric And Rising With Mystery is a painting by M Zimmerman which was uploaded on December 23rd, 2011. Exclusive Canvas Art | A Chicago Art Gallery is proud to bring you another acrylic painting from the artist M. Zimmerman\'s Medical Series. 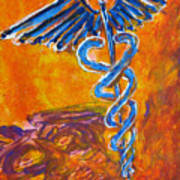 This Orange and blue medical caduceus is atmospheric and rising mysteriously from the swirling mists. 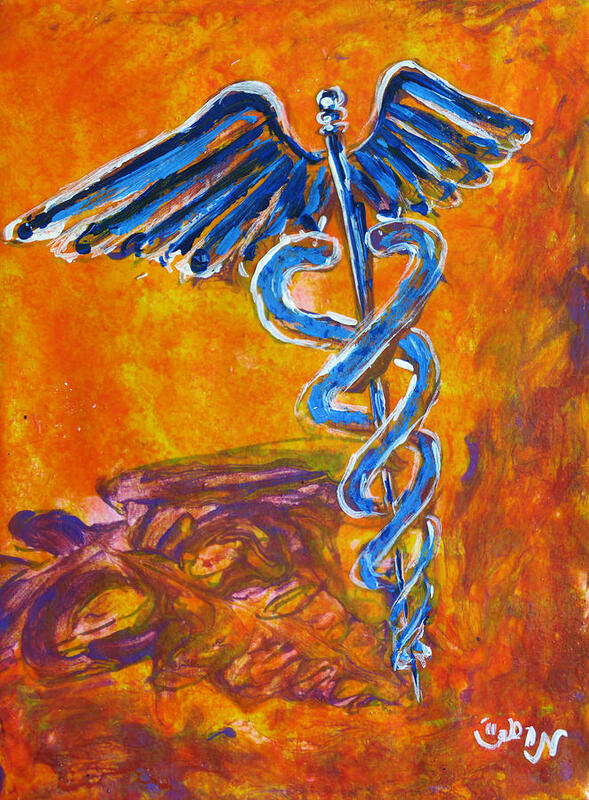 This artwork captures the healthcare scene from the perspective of the clinician and healthcare worker by depicting the constant ebb and flow of research, technology, spirituality, and patients. 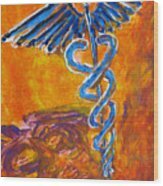 This artwork is perfect for the nurse, doctor, physician, healthcare worker, ambulance, paramedic, cna, surgeon, and many more interested in the ethics or practice of medicine regardless of if they are working in a nursing home, research, skilled care center, or hospital. The original artwork can be seen in our Chicago art gallery. Prints can be found right here on FAA. Thank you for enjoying this medical artwork. There are no comments for Orange Blue Purple Medical Caduceus Thats Atmospheric And Rising With Mystery. Click here to post the first comment.